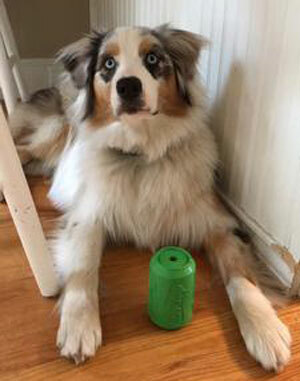 What Is The Best Adult Food For Australian Shepherds? My Aussie is just about 11 months old and I’m wondering what the best adult food to switch him to would be. He’s currently on Purina Pro Plan Focus Puppy. Also what would be the best way to transition him into his adult food? Comments for What Is The Best Adult Food For Australian Shepherds? Here's an article to give you an overview of How To Choose The Best Dog Food Brands. We make homemade food from Lew Olsen’s-B-Naturals book. We also give them,"Simple Food project.". We give them Dr. Dobias supplements. They are 2 1/2 years old and thriving. We gave them Fromm Puppy and Gold adult till they were spayed at 1 year old. Hope this information helps you. I have always had great results using Wellness Core Grain-Free, both wet and dry. Also, I invested $30 in a dehydrator and make sweet potato treats for my dog. She loves them and I know they are not only safe, but good for her. I also give her frozen full size green beans.